Angry Koala Gear: NOTHING LASTS FOREVER – NOVA Heads Into INFINITY! NOTHING LASTS FOREVER – NOVA Heads Into INFINITY! This September, superstar writer Zeb Wells is joined by fan-favorite artist Paco Medina to show fans what Sam Alexander is made of in Nova #8! Tying into the blockbuster event of the summer, Infinity,Nova #8 shows fans what new threats lie beyond the edges of the Marvel Universe! With our heroes at the other end of the universe, and Sam Alexander having just gotten a hold of his new found powers – is he able to help the impending threat coming to Earth? 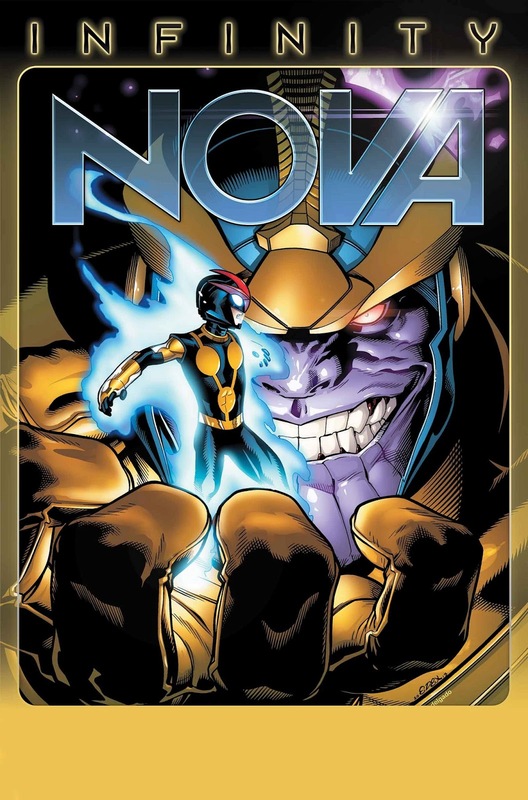 Thanos, the galaxy’s most ruthless threat and an unparalleled force of brutality, is coming and Nova must learn quickly the legacy and responsibility thrust upon him. Every issue of Nova includes a code for a free digital copy of that same comic on the Marvel Comics app for iOS and Android devices. Additionally, each issue of Infinity features special augmented reality content available exclusive through the Marvel AR app – including cover recaps, behind the scenes features and more that add value to your reading experience at no additional cost. This September, the intensity of Infinity is turned up a notch as Wells & Medina throw the first blows in Nova #8! Join the conversation on Twitter with hash tag #MarvelINFINITY, and don’t forget to follow us at @Marvel[www.twitter.com/Marvel]! 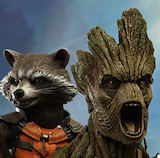 For more on Marvel’s Infinity, please visit www.marvel.com..